4650 I think. 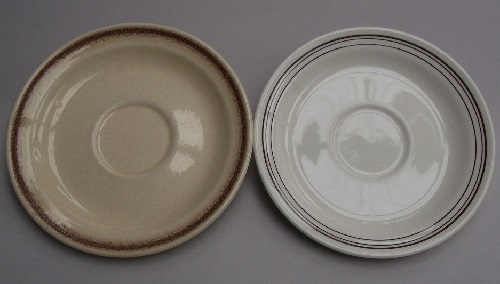 Vitrified version of 4050, rimmed bell cup saucer. By "I think" I mean I am pretty sure. I'd like to find a vit version of 4042, but I don't even know if it exists. After lots of hunting I can only find a reference to the 4650 in the Metro range. This range usually has a Metro stamp on the base. 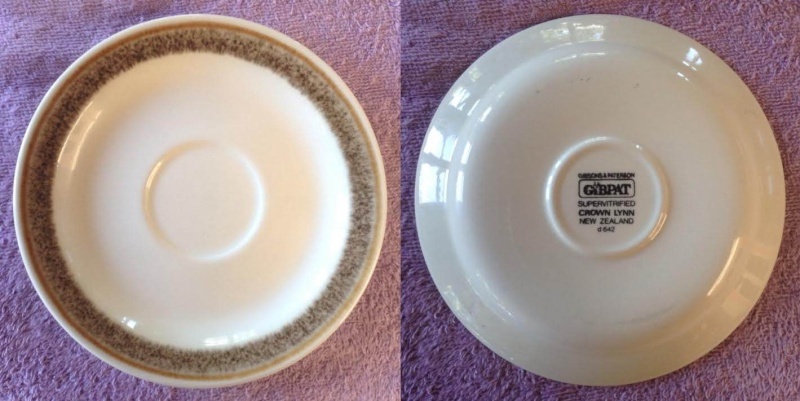 Your saucer pattern shows up in a Gibpat catalogue that has a reference number but not a Crown Lynn shape number and has the description of Stacking Saucer. I will keep an eye out for more into though. 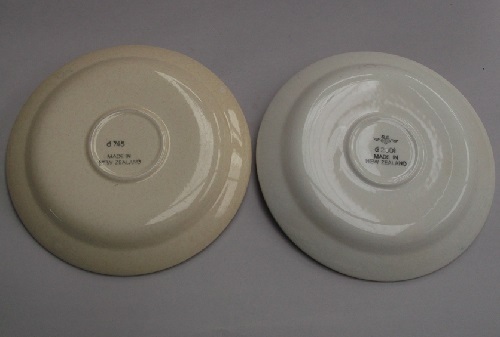 The 4624 hotel stacking saucer is a vitrified equivalent of a Forma saucer. You'll see that the 4650 is quite different as, among other differences, it has a proper footring. As the description for 4650 is vitrified 4050 all you need to do to check out the 4650 is to compare the picture in the top post with the base of a 4050. If you like I can dig one out and photograph them together. 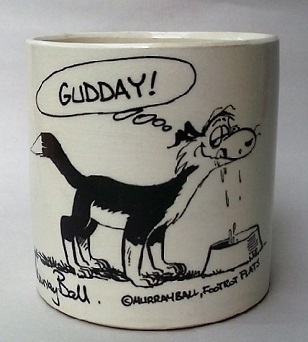 I'm aware of what a stacking saucer is as I have quite a few, however I was only quoting the catalogues. I got out my vitrified saucers and I have 8 different shapes. It was a simple process to find the one that matched the 4050 and thanks for getting me into gear to do this. 4650 on the left and 4050 on the right .. almost 150mm across.